I have a small doubt, regarding the PPR of child components in PT(Page Template). 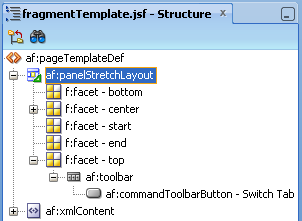 You said its enough to keep the partial triggers on the PT to refresh the child components in your earlier post http://andrejusb.blogspot.com/2012/02/adf-page-template-refresh-from-adf-page.html. But in the Oracle Fusion Developer Guide by Frank and Lynn, in the Page 481, they clearly stated that if we need to refresh the child components we need to place partailtiggers on the child components to the value of the partialtriggers attribute of the PT. Please let me know whether we need to follow these 2 approached based on the type of child components or not. Thanks. The book says we need to keep partialtriggers on the child components also, in order to refresh them. Please clarify on this. Thanks. Those are different use cases, nothing is contradicting. 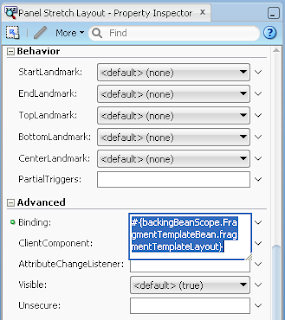 In this post I'm describing how to refresh Page Template from Fragment Template. Those are two completely different components and you can't set declarative Partial Trigger - there is simply no relationship. Previous post you are referencing, again is different use case. Its doing declarative PPR on Fragment Template from Fragment (no Page Template there). 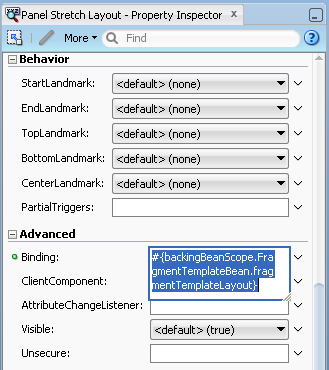 Keep in mind - there is no declarative access to page/fragment template components from consuming page/fragment. Is that possible use a page fragment in a template? 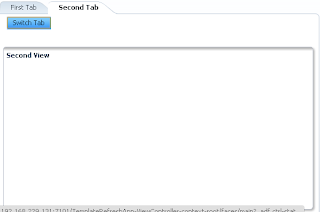 I believe it is possible to add a declarative partial trigger by inspecting the element at run time using firebug to view the componet ID and determine the component path then add that to the partial trigger value. 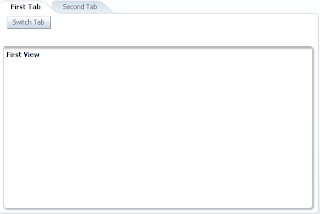 Even though it will display underlined in red because it can't be found at design time it will work at runtime. This is not dynamic approach and it will not work for ADF regions. Because region ID in HTML source is not static.